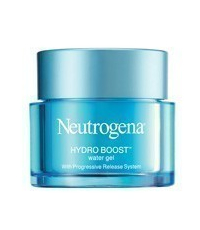 NEUTROGENA’S HYDRO BOOST WATER GEL ! 3 BEST write ups will win a set of Neutrogena’s Hydro Boost Range which consist of Hydro Boost Mousse Cleanser, Hydro Boost Clear Lotion,Hydro Boost Water Gel and Hydro Boost Mask. Note: Contest ends on 4th April 2010.Winners will be announced in Fr3b’s blog, twitter and Facebook. Please submit your entries in your review. I love NEUTROGENA’S HYDRO BOOST WATER GEL because i hope this product can make my skin look more supple n thus make me look more handsome…haha….cant wait to have it..